Updated Wednesday June 20, 2018 by Waxhaw Adult Softball. 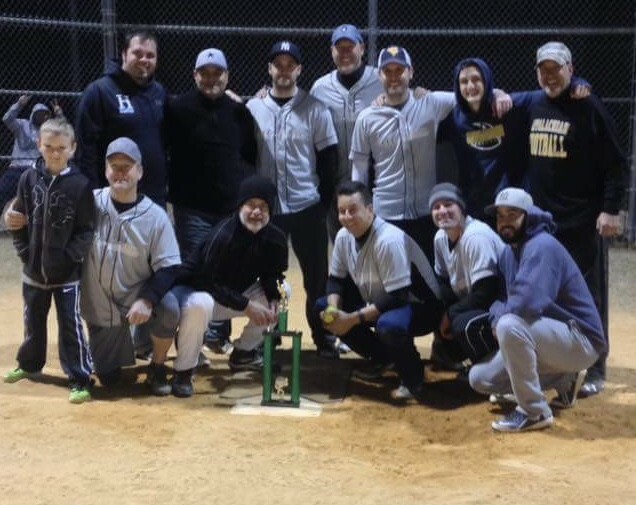 In a chilly fall evening, Carolina Closet Creations leave Millbridge Black frozen in their tracks, and batter's box, to claim the tournament crown. Teams members are top row, left to right: John Haston, Myrlton Lopez, Joe Agaiti, Aaron Bhenke, Jim Sinople, Danny Generoso, Tim Speakman. Bottom left to right: Pat Muchmore, Stu Galbreath, Vic Montalvo (Coach), Marc Duncan, and Danny Falco. Nice work, men!